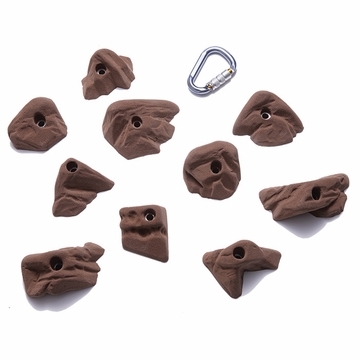 Artificial holds for use in rock climbing walls. Realistic rock cut. Assorted shapes and sizes.